We’d love your help. 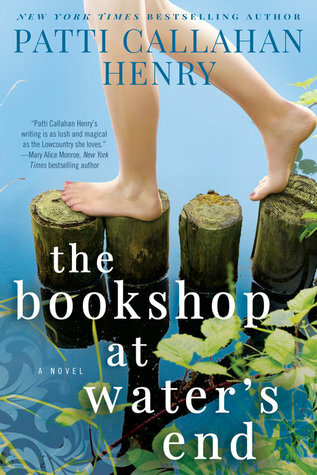 Let us know what’s wrong with this preview of The Bookshop at Water's End by Patti Callahan Henry. Bonny Blankenship’s most treasured memories are of idyllic summers spent in Watersend, South Carolina, with her best friend, Lainey McKay. Amid the sand dunes and oak trees draped with Spanish moss, they swam and wished for happy-ever-afters, then escaped to the local bookshop to read and whisper in the glorious cool silence. Until the night that changed everything, the night that Lainey’s mother disappeared. To ask other readers questions about The Bookshop at Water's End, please sign up. This is a novel of female friendship, tragedy and new beginnings in a wonderful setting. This is the story of Bonny, Piper and Lainey. Bonny Blankenship is an ER doctor who has been suspended from her job and is under investigation for her role in the accidental death of a patient. Lainey is Bonny's best friend and an artist. Piper is Bonny's daughter who has recently come into some trouble. The three of them move into Bonny's river house for the summer, located in the town of Water's End. This w This is a novel of female friendship, tragedy and new beginnings in a wonderful setting. The three of them move into Bonny's river house for the summer, located in the town of Water's End. This was the place where Bonny, Lainey and their families used to spend their summers in until Bonny's mother disappeared without a trace when the girls were 13. That was the last time the "Summer Sisters" were in Water's End until now. Each character has their own struggles and obstacles to overcome. The story is told from different points of views and alternates between the present and the past. The writing is beautiful and character-driven. The setting takes place in Water's End which is a beautiful town in the South close to the ocean. It sounds idillic. The bookshop and its owner Mimi make appearances into the novel. I always love reading about bookshops in novels, their patrons, managers, books and so on. The novel was a bit slow-paced and some aspects where not explored more deeply, for example, Piper's feelings towards their parent's divorce and her insights related to their relationship. Overall, it was a nice read. I recommend it to all who love a story of enduring friendship and hardships in a wonderful setting. It's a perfect book for the summer. A summer home that has been left abandoned for years, but a summer home that Bonny now desperately needs to return to regardless of the pain and memories it holds. The town of Watersend, South Carolina, was quaint, a treasure from childhood, and had the best bookstore with a marvelous bookstore owner that could pick out a book you "need" not a book that you want. We meet many likable and believable characters except one in THE BOOKSHOP AT WATER’S END. You are able to empathize with the characters as well as want everything to turn out for them. The main character, Bonny, was a successful doctor, but a tragic mistake in the emergency room one night caused Bonny to be put on sabbatical and has her deciding to return to the childhood summer home that contains secrets and some happy and not so happy memories. A happy memory was the friendship between Bonny and Lainey. They were labeled the "summer sisters." They had made a pact to always be there for each other. Bonny needed Lainey now, and Lainey came back to the house with her two children even though she also had some bad summer memories and really didn’t want to. The bookstore and its owner were definitely a happy memory. Mimi, the bookstore owner was marvelous. Any book that has a bookstore and a book club in it definitely makes the story line even more appealing. Two not-so-happy memories and ones that were difficult to forget gnawed at both women. The disappearance of Lainey's mother and Bonny's love for Lainey's brother, Owen, who was the love of her life, but a love she could never get to stay were memories difficult to get over. The book’s setting was perfect, and the descriptions of the house, the town, the beach, and the ocean put you there with the characters sharing their days and their feelings both good and bad. THE BOOK SHOP AT WATER'S END was a warm, inviting read bringing women together for what we do best - support each other. This was my first book by Ms. Henry, and it was a delightful, summer treat. THE BOOKSHOP AT WATER’S END is an engaging story about two fifty-something friends at a crossroads in life who return to their childhood vacation home to face the ghosts of their past. Lainey and Bonny were known as the Summer Sisters around the idyllic waterfront town, and they had the happiest times together until tragedy struck. Lainey’s mom disappeared without a trace, something that has haunted her for nearly 40 years. 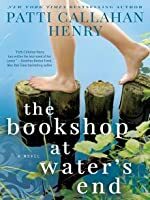 Bonny is dealing with her own issues, including a crumbling marriage and THE BOOKSHOP AT WATER’S END is an engaging story about two fifty-something friends at a crossroads in life who return to their childhood vacation home to face the ghosts of their past. Lainey and Bonny were known as the Summer Sisters around the idyllic waterfront town, and they had the happiest times together until tragedy struck. Lainey’s mom disappeared without a trace, something that has haunted her for nearly 40 years. Bonny is dealing with her own issues, including a crumbling marriage and a medical career on the line due to a careless mistake, plus a troubled collage-age daughter and a lifetime of unrequited love for Lainey’s brother Owen. Yep, there’s a lot going on here! This was a beautifully written, character driven novel, and the descriptions of time an place were gorgeous. The characters were real and easy to empathize with. Even when obstacles seemed insurmountable, they did the best they could and persevered. Woven throughout the book is the mystery of Lainey’s mother’s disappearance which kept me intrigued, though the conclusion left me with mixed feelings. I’m not sure I accept the reasoning behind it. Maybe. THE BOOKSHOP AT WATER’S END is a lovely story of friendship, forgiveness, and starting over, and a great choice for summer reading. This is a sweet story of two grown women who are now mothers. Bonny is an ER doc trying to find her way out of a loveless marriage. After an accident in the ER, she needs some time to regroup, so she returns to Watersend, a small sea side town where she and Lainey became friends when they were thirteen years old. Back then, they had been inseparable. They were known as the Summer Sisters. They had the Girls’ Detective Club, inspired by Nancy Drew mysteries, and their safe haven was a bookstore r This is a sweet story of two grown women who are now mothers. Bonny is an ER doc trying to find her way out of a loveless marriage. After an accident in the ER, she needs some time to regroup, so she returns to Watersend, a small sea side town where she and Lainey became friends when they were thirteen years old. Back then, they had been inseparable. They were known as the Summer Sisters. They had the Girls’ Detective Club, inspired by Nancy Drew mysteries, and their safe haven was a bookstore run by a woman named Mimi. Bonny brings her teenage daughter, Piper, with her to Watersend, and, even though Lainey has terrible memories of Watersend, Bonny convinces her to leave her husband in California for a few weeks and bring her two small children out to the beach house. Initially, Piper feels like she’s being punished because she flunked out of her freshman year of college. In addition to that blow, she’s also reeling from her boyfriend not just breaking up with her but immediately falling for another girl and taking off to Europe with her. By making friends with a local boy and Mimi and babysitting Lainey’s six- and four-year-old children, Piper slowly begins to heal. Bonny has to decide what to do with her career and her life. Lainey wants to solve the thirty-five year old mystery of what happened to her mother. Told from multiple first-person points of view, the complexity of the characters are good. I also like the mystery of Lainey trying to figure out what happened to her mother, a search that has played a large role in her life. The novel is not a completely fluffy summer read, although it does have a sweet mostly-happily-ever-after ending. Thanks to NetGalley and Berkeley Publishing Group for the opportunity to review this book. I really enjoyed this book. I was really pulled in by the writing and ended up loving the characters. The story was a little bit different than I had thought it would be based on the title but it ended up being a good surprise. Once I started reading this book, I found myself picking up this book every free moment I had until I reached the last page. I am really glad that I decided to give this book a try. Bonny and Lainey called them This review can also be found at Carole's Random Life in Books. Bonny and Lainey called themselves the Summer Sisters when they were children. Their families would spend the summer together at a little house on the water in Watersend every year. They both looked forward to those summers and became lifelong friends even after a tragedy ended their summers together. When Bonny hits a difficult time in her life, Lainey suggests that she spend some time at the summer house and they end up returning together. This story is told from three points of view. Bonny is an emergency room doctor that is forced into taking a leave of absence. She is in the process of leaving her husband and all of her plans seem to be going wrong. Piper is Bonny's 19 year old daughter who seems to be having a difficult time. Her first year of college has not went well and she feels somewhat trapped at the house with her mom. Lainey is an artist that is happily married with two young children. I really liked each of the three voices and thought all of their stories were unique and well developed. I think that thing that really made this book hard to put down was the quality of the writing. The book had such a nice flow and I always wanted to read just a bit more. I thought that the story had a very realistic quality to it. I feel like all of the events in this story could happen anywhere. I really enjoyed the way that the past and present came together for Bonny and Lainey. There were a few scenes that were really filled with emotion and I felt myself really empathizing with these characters. I would recommend this book to others. I enjoyed this story of three women really discovering who they are and what they want out of life. This was the first book by Patti Callahan Henry that I have read but I would love to read more of her work in the future. Now, in her early fifties, Bonny is desperate to clear her head after a tragic mistake t Bonny Blankenship’s most treasured memories are of idyllic summers spent in Watersend, South Carolina, with her best friend, Lainey McKay. Amid the sand dunes and oak trees draped with Spanish moss, they swam and wished for happy-ever-afters, then escaped to the local bookshop to read and whisper in the glorious cool silence. Until the night that changed everything, the night that Lainey’s mother disappeared. My Thoughts: Bonny’s journey back to Watersend would resurrect old memories, secrets, and the pain of the past, but it would also remind her of the magic she always felt there. And she needs that magic now, just after a tragedy in her job as an ER doctor leaves her floundering. With Piper still healing from a broken relationship, the two of them wait and are soon joined by Lainey, who has her own wounds from the past. The pain of the summer that her mother went missing. For years she has searched, but to no avail. The art she creates helps her express the pain and communicate to those who see it. Owen, Lainey’s brother, is the love Bonny has longed for ever since those days in Watersend, but the more they draw together, the more they seem to part. Owen’s urges take him on journeys that she cannot follow. Adventures that help him push away the pain of the past. Mimi, as the owner of the bookshop, is the source of all wisdom to Bonny, Lainey, and especially Piper. She offers a refuge, some suggestions that feel like treasures, and, in the end, she has the answers to some very deep questions. How do Mimi and her friend Loretta fill in some gaps for Lainey? What will Piper find in the small town that will heal the wounds of loss? Will Owen finally come to stay, or will he constantly be on the move again? What does Bonny decide about the old life she left behind in Charleston? Multiple narrators carry us along and fill in the missing pieces of their stories. A beautifully wrought tapestry combining art, medicine, and books…the stories would offer meaning and magic for their souls. 5 stars. You've read one, you read them all. No. The Bookshop at Water’s End is told from multiple perspectives giving four different women all the chance to narrate and tell their personal story. Bonny and Lainey have been best friends since they were children and Piper is Bonny’s troubled daughter, and finally Mimi is the owner of the bookshop. These women ranged in age from nineteen to eighty and the author did such a brilliant job of creating distinct and powerful voices for each of them. As I write this, I’m trying to decide who my favorite character is and I’m struggling, which only proves my point that the characterization is amazing! This is mainly told in the present day as Bonny, Lainey and Piper all spend some time at Bonny’s parents house in Watershed. There are also a few chapters that flashback to the late seventies/early eighties during the three summers that Bonny and Lainey spent there together. Watershed was a fantastic setting and the author truly brought it to life. I kept going back and looking at that beautiful cover while I was reading and it just fits perfectly with the setting she created. The main focus of the story surrounds the three women as they struggle with their own personal problems, but the past plays a heavy role in their current dilemmas. Lainey’s mom disappeared and was never seen again and the addition of this mystery added something special and heartbreaking to the text. When young Bonny Blakenship and Lainey McKay spent their summers together with the families at Watersend, they called themselves the summer sisters. They promised to always be best friends and be there for each other. The disappearance of Lainey’s mother put an end to those summers, even though the friends keep in touch by mail and phone as they grow older. When in the Emergency Room of the hospital where Bonny is a doctor, she encounters Owen, Lainey’s brother and the one she had always been in When young Bonny Blakenship and Lainey McKay spent their summers together with the families at Watersend, they called themselves the summer sisters. They promised to always be best friends and be there for each other. The disappearance of Lainey’s mother put an end to those summers, even though the friends keep in touch by mail and phone as they grow older. When in the Emergency Room of the hospital where Bonny is a doctor, she encounters Owen, Lainey’s brother and the one she had always been in love with. With her attention elsewhere, Bonny makes a tragic error with another patient. Desperate to regain perspective and her own equilibrium, she takes off with her teenage daughter Piper, who has had her own share of troubles, back to Watersend. Despite reservations about going back to the place here her mother disappeared, Lainey comes to Watersend with her two young children. They re-unite with bookshop owner Mimi. Over the course of their time together secrets emerge. But will they bring peace and closure or just stir up more problems? Dealing with family situations, friendships, love, obsession, grief and loss this had all the ingredients for a great read. And yet, I ended up with mixed feelings about this book. I didn’t quite see these characters the way I suspect the author intended me to. At one stage one of the male characters says to Bonny, ‘I love you because you care as much about others as you do about yourself.’ Sorry to say I did not see that much of the time. I found her selfish and both she and Lainey struck me as behaving more like teenagers than women in their early fifties with families. That seems to be an increasing issue with some books and movies these days. To put it simply I was never convinced by the characters and for the most part remained outside of the dramas. Towards the end of the book, around page 217 I did become more emotionally invested in what was happening. Until then it didn’t engage me as it ought to have done. Perhaps it was also the problem of coming to this book after three brilliant five star reads. So my reaction may not be quite the same as others who read this. I would suggest anyone, looking for a beach read will probably enjoy it and the setting is well conveyed and plays an integral part in the story. It just wasn’t all I hoped. This rating seems really low for a novel with such great writing but I really didn't connect to any of the characters or the plot. You start off with a prologue to Mimi, the Title Wave's bookshop owner, and Piper, Bonny's daughter's first encounter in the bookshop. Mimi's narrative I feel was the strongest in all of the novel and I was very disappointed to see that her perspective is only given a couple of times when it seemed like Mimi's character was where Henry did her strongest writing. Bonny and Lainey are the Summer Sister's that are forever bonded to one another no matter the difficult situations or events that threaten their relationship. When Owen, Lainey's brother comes back into Bonny's life, chaos ensues and nothing will ever be the same. I liked the way Henry handled the dissolution of Bonny's marriage. I felt that Bonny finally found her self worth and no one, not even Owen, was going to make her change directions this time. I think there was very little attention paid to Piper's feelings on her parents separation and impending divorce. The teenage daughter who has multiple perspectives given to her throughout the book is surprisingly silent on the break up between her parents which I found quite odd. The mystery surrounding Lainey's mother's disappearance was interesting but the ending didn't sit quite right with me. Emotionally it seems unrealistic and again with all the different perspectives of the women, you get only a very narrow view into the emotions of the three ladies when you'd expect much more due to the numerous point of views and build up to solve this mystery throughout the book. This book had so many different levels and layers to peel back, I just don’t even know where to start. So I guess at the beginning is a good place. This is the story of two best friends who spent summers at the beach and their lives became intricately woven together over the years. But then the happiness fell apart over a tragedy that changed their lives forever. Fast forward to today. Dealing with a tragedy at work, a loveless marriage, the only place to escape to is the water and the house where This book had so many different levels and layers to peel back, I just don’t even know where to start. So I guess at the beginning is a good place. Fast forward to today. Dealing with a tragedy at work, a loveless marriage, the only place to escape to is the water and the house where happy memories used to live. The author writes a magical story that has many layers, as I stated earlier. It’s hard to explain without giving away a lot of the plot. But everything in the story is interwoven and history seems to repeat itself. There’s anger and heartbreak; a lifetime love and new love. There’s friendships old and new. And over-lapping it all is the hope that we all can have a fresh start regardless of the situation. The story is a deep look into the lives and connection of women over the years as well as looking into your own self for healing and forgiveness. Not every story ends on a happily ever after. The book is closed and the characters are comfortable and happy with their decisions. I just wanted a little bit more. The author has written a story that will touch you in many ways and definitely have you thinking. That is a sign of a great book. Definitely want to check out for your summer reading. When Bonny and Lainey were girls their families were summer friends in the small coastal town of Water’s End. They did everything together and were even called the “Summer Sisters” by some of the locals. The summer they were 13 something horrible happened and their families never returned to Water’s End. Bonny’s family owned the house where both families stayed and now Bonny was the owner. She’d fixed it up and rented it out over the years but now she was going to prepare to sell it. That was th When Bonny and Lainey were girls their families were summer friends in the small coastal town of Water’s End. They did everything together and were even called the “Summer Sisters” by some of the locals. The summer they were 13 something horrible happened and their families never returned to Water’s End. Bonny’s family owned the house where both families stayed and now Bonny was the owner. She’d fixed it up and rented it out over the years but now she was going to prepare to sell it. That was the plan but one night changed everything. Bonny, an ER doctor, makes an error that has devastating consequences. She decided to retreat to Water’s End and take her 19-year-old daughter Piper with her. Piper just flunked out of her first year of college and finds solace in a bottle of Jack Daniels. Mother and daughter need a change and Bonny hopes the river house will help. She also calls Lainey who promised to be there any time Bonny needed her. They’d both made that promise. The thing is, Lainey never wants to see Water’s End again. It holds so many bad memories. Like the true friend she is though she packs up her two young children and heads back to Bonny. The three women will support and maybe even help each other find answers to large and small questions. I love novels like this – a lovely, lush setting, positive women, and relatable challenges. Patti Callahan Henry’s story pulled me in and I enjoyed every minute spent with her characters. I loved the words of wisdom shared by Mimi, the bookstore owner. “The soul needs story and meaning to help us endure this life… Books can be medicine for the heart...” I know this to be true. I received this book from NetGalley and the publisher Berkley in exchange for an honest review. This is a great summer read, not to heavy but still there is depth to the story of two friends who reunite at the river house where one of the friends lost her mother. Bonny's parents bought the house when she was a child and each year they would return for the summer. It was here that she met Lainey and her brother Owen who would also along with their parents come to the house each year. Bonny and La I received this book from NetGalley and the publisher Berkley in exchange for an honest review. This is a great summer read, not to heavy but still there is depth to the story of two friends who reunite at the river house where one of the friends lost her mother. Bonny's parents bought the house when she was a child and each year they would return for the summer. It was here that she met Lainey and her brother Owen who would also along with their parents come to the house each year. Bonny and Lainey would become great friends. However, there was an unfortunate incident, Lainey's mother just disappeared one night. Bonny inherited the house in Watersend SC, which is just outside of Charleston. She is a physician and there has been a serious incident at the emergency room and she may no longer be able to practice medicine, and her marriage is all but done. She needs to get away for awhile so she invites Lainey and her two small children to join her. Piper, Bonny's daughter will be coming along as well, partly as punishment for failing at school and partly to help watch the two children. It is a time for all three of them to deal with issues in their lives and to think about their lives and what direction they might want to move towards. It is a time for reflection and a time for realizing what they already have right in front of them. Sometimes all you need is a little beach time. Lainey is a renowned artist who lives in California with her husband and two small children. Lainey's mother disappeared from the river house the last time she was there and is concerned about ghost from her past reeking havoc with her soul. On one side of the house is the river and on the other side is the ocean. It is the small beach town. Patti Callahan Henry does an incredible job of transporting the reader to this quaint little town, with the local bookstore, grocery store and other characters that call this place home year round. Piper has been struggling with college and her self esteem is low. She will be helping to get the place ready for the arrival of her mother and Lainey and she will be helping to take care of Lainey's kids, which she is not looking forward to, at least not at first. She meets a young man her age who helps her to see that she is fine just the way she is. One other important character is Owen, Lainey's brother, who was also at the river house when their mother disappeared. He has always had a thing for Bonny and might want to revisit that. He travels all over the world and rarely contacts his sister which causes her a great deal of pain. He is the only family she has other than her husband and her two children. Everyone in this story, except the bookstore owner has a self esteem problem, but I guess that is true of so many women and men. I really want to recommend this book to readers that like what I call beach reads, sometimes the message is deep but the story is comforting, almost always about women and their friendships which can be complicated and intertwined. There is a bit of a mystery here about what happened all those years ago to Lainey's mom. Bonny is a well respected ER doctor, married, with a 20 year old daughter who is a bit of a train wreck. When a blast from her past disrupts her life, she loses focus and makes a fatal error. Now on suspension, she escapes her bad marriage taking her daughter to the summer river house in Watersend, South Carolina. She has so many fond memories of the summers she and her best friend spent there and once considered it home until a tragedy, and she and her family never returned. The other part of th Bonny is a well respected ER doctor, married, with a 20 year old daughter who is a bit of a train wreck. When a blast from her past disrupts her life, she loses focus and makes a fatal error. Now on suspension, she escapes her bad marriage taking her daughter to the summer river house in Watersend, South Carolina. She has so many fond memories of the summers she and her best friend spent there and once considered it home until a tragedy, and she and her family never returned. The other part of the Summer Sisters, Lainey vowed never to return there after her mother disappeared from there during that last summer and her life has been spent in exhausting searches for her. After Bonny's appeal though, she finds herself packing up her two kids and going back to the place that was so special, but now to her is tainted. What an emotional roller coaster this book is. So much tragedy and chances not taken. I have always loved Ms. Henry's style and have read her books for so many years. Her books take you to those beautiful surroundings. I am suckered in by the wonderful places; anything with a beach and summer, her books are never "fluff". There's so much going on and you can't read her books without some pangs or tears. She make you love her characters, however flawed. (Except for a few, I don't even have any nice words to say about Lucas. And Owen? I really wanted to like him, but couldn't. The devastation he always left behind for the two women in his selfishness really turned me off. I get he's wounded by the past, but we all still have choices to make). Books and the beach. Two of my favourite things! And you'll find them both in Patti Callahan Henry's new novel, The Bookshop at Water's End. Bonny and Lainey were known as the Summer Sisters when they were younger and spent summers in Watersend, SC. But those idyllic days ended when Lainey's mother disappeared one night. Now in their fifties, they are still friends, but have never gone back to Watersend. Bonny is a doctor, but a tragic mistake may cost her her career. Her marriage is also on the Books and the beach. Two of my favourite things! And you'll find them both in Patti Callahan Henry's new novel, The Bookshop at Water's End. Bonny and Lainey were known as the Summer Sisters when they were younger and spent summers in Watersend, SC. But those idyllic days ended when Lainey's mother disappeared one night. Now in their fifties, they are still friends, but have never gone back to Watersend. Bonny is a doctor, but a tragic mistake may cost her her career. Her marriage is also on the rocks and suddenly Watersend is the place she wants to be. She packs up her daughter Piper and Lainey decides to join her with her children as well. Being back revives old memories, hurts, first loves and lots of questions..... The one constant from now and then? Mimi and her bookshop. Henry's description of time and place had me wishing to be in Watersend, sitting on a porch or browsing the bookstore shelves for a new read. The Bookshop at Water's End is a character driven novel. The lives, hopes, wishes, dreams and mistakes of the women are very real and believable. The interactions and dialogue between the two friends, their spouses and children rings true. Each of the main characters (including nineteen year old Piper) is searching - for their purpose, for the place they belong, for forgiveness and for answers. Such a summer read would not be complete without some romance. Bonny's past with Owen - and possible future?- will have readers wondering about their own first love. And the mystery from all those years ago - whatever happened to Lainey's mother? I love Southern fiction and have read all of Patti Callahan Henry's books and will tell you that this book was another fantastic book by a great author. I have been in a reading slump lately and this is the book that ended that slump. I thought it was Southern fiction at it's best. Bonny and Lainey had been friends since childhood when they spent three summers sharing a beach house with their families. They were now in their 50s and Bonny, an ER doc who has made a terrible mistake, begs Lainey to I love Southern fiction and have read all of Patti Callahan Henry's books and will tell you that this book was another fantastic book by a great author. I have been in a reading slump lately and this is the book that ended that slump. I thought it was Southern fiction at it's best. Bonny and Lainey had been friends since childhood when they spent three summers sharing a beach house with their families. They were now in their 50s and Bonny, an ER doc who has made a terrible mistake, begs Lainey to return to the beach house for a summer to help her decide what to do with her life. Lainey is reluctant because her mother disappeared during the last summer they spent at the beach house and she didn't think she could cope with the memories but friendship won out and she and her two children went to the beach house for the summer along with Bonny's 19 year old daughter who feels she is a failure at everything she tries to do and feels like she is being exiled to the beach because of all of the mistakes she's made in her life. Will the long summer days and the rhythm of the tides help all three women with the problems in their lives and will they be able to return to the lives they left behind? Messed up people. Hurt people. Wonderful people. Friends. Family. Friends are family. I fell into this book and breathed in the corner of the river house watching the lives unfold. I won this novel in the Goodreads Giveaways! I'm such a sucker for beach reads that take place in the Low Country and this book did not disappoint! I was thrilled to win this book! The book is told from three different female perspectives: Bonny, her summer sister Lainey, and Bonny's nineteen year old daughter Piper. 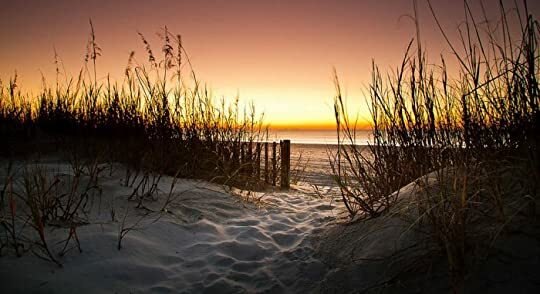 After a medical procedure gone wrong and in the midst of a bad marriage, ER doctor Bonny heads back to Watersend, SC to the summer home her parents had left to her. She also brings h I won this novel in the Goodreads Giveaways! I'm such a sucker for beach reads that take place in the Low Country and this book did not disappoint! I was thrilled to win this book! The book is told from three different female perspectives: Bonny, her summer sister Lainey, and Bonny's nineteen year old daughter Piper. After a medical procedure gone wrong and in the midst of a bad marriage, ER doctor Bonny heads back to Watersend, SC to the summer home her parents had left to her. She also brings her daughter who failed out of her freshman year of college to try to help her get back on her feet. Lainey, Bonny's best friend from summers spent at the summer home, reluctantly leaves her husband and comfort to bring her two young children to stay with Bonny and Piper at Bonny's insistence. The last time Lainey was there was when she was 13 and her mother walked away from her and her brother Owen and was never heard from again. All three women are there to try to heal wounds and find themselves and face their pasts. The Bookshop At Waters End- a juicy southern novel, and another fantastic summer read. It's main setting is a river||ocean cottage in Watersend, South Carolina which reunites the Summer Sisters for one heck of a 'sentimental' girls vacation before the cottage is put up for sale. The storyline is sizzling with shocking family secrets, lifelong friendships, love.. and books, of course. I rated all the stars. Beautifully written novel about the power of family and friends. Book Club selection for August, 2018 - going to be a great discussion! "But she did the best she could. We all do the very best we can. . . . We do what we can with what we know at the time, and with what we believe." "Then let's not sit around waiting for something good. Let's do good." I adore a book that is character driven, one that lets me see in to a life and helps me understand what makes that person tick. This book did just that for me. I came to love the characters in this book, especially Bonny, Lainey and Piper. As the story unfolded and I came to understand why each one made the choices they did and what drove them, I just loved them even more. The setting of WatersEnd was pure perfection, and a little town I'd love to live in myself. I can see why it was special to e I adore a book that is character driven, one that lets me see in to a life and helps me understand what makes that person tick. This book did just that for me. I came to love the characters in this book, especially Bonny, Lainey and Piper. As the story unfolded and I came to understand why each one made the choices they did and what drove them, I just loved them even more. The setting of WatersEnd was pure perfection, and a little town I'd love to live in myself. I can see why it was special to each of them and even when I understood what drove Bonny and Lainey away, I was so glad they came back. I think my heart really loved Piper the most. I loved watching her grow and search for herself and find acceptance and love in WatersEnd. First, I’d like to thank Netgalley and Berkeley Publishing Group for an advanced copy of The Bookshop at Water’s End. I was intrigued by both the cover and the title, as I had never read anything by Patti Callahan Henry. Besides recommendations from some of my friends, this is usually how I like to try new authors. I was not disappointed. Told from different character’s perspectives and different time periods, this was a story of two women, Bonnie and Lainey, who spent summers as young girls in First, I’d like to thank Netgalley and Berkeley Publishing Group for an advanced copy of The Bookshop at Water’s End. I was intrigued by both the cover and the title, as I had never read anything by Patti Callahan Henry. Besides recommendations from some of my friends, this is usually how I like to try new authors. I was not disappointed. Told from different character’s perspectives and different time periods, this was a story of two women, Bonnie and Lainey, who spent summers as young girls in Watersend, South Carolina with their parents. These were magical summers for these lifelong friends, until tragedy strikes and ends their annual trips. Fast forward to the present where Bonnie asks Lainey to once again spend a summer at Watersend to help her cope with a most difficult situation in her life. Lainey reluctantly agrees and now must also deal with the results of the tragedy from so long ago. This was a beautifully written story which kept me turning the pages to see how these families find out how to begin again to find the one thing in life they are meant to do.